Full catering facilities, changing rooms, fully equiped pro shop with club and trolley hire. 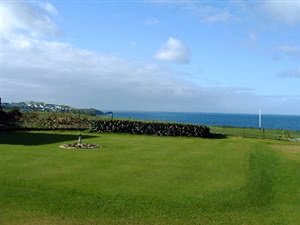 One of Cornwall's finest seaside links with magnificent views over the Atlantic Ocean. The smooth fairways and challenging greens are well conditioned. This course also offers many beautiful views of Fistral Beach and the Headland. Open to the unpredictable nature of the elements and possessing some very demanding greenside bunkers, the prerequisite for scoring at Newquay is accuracy.